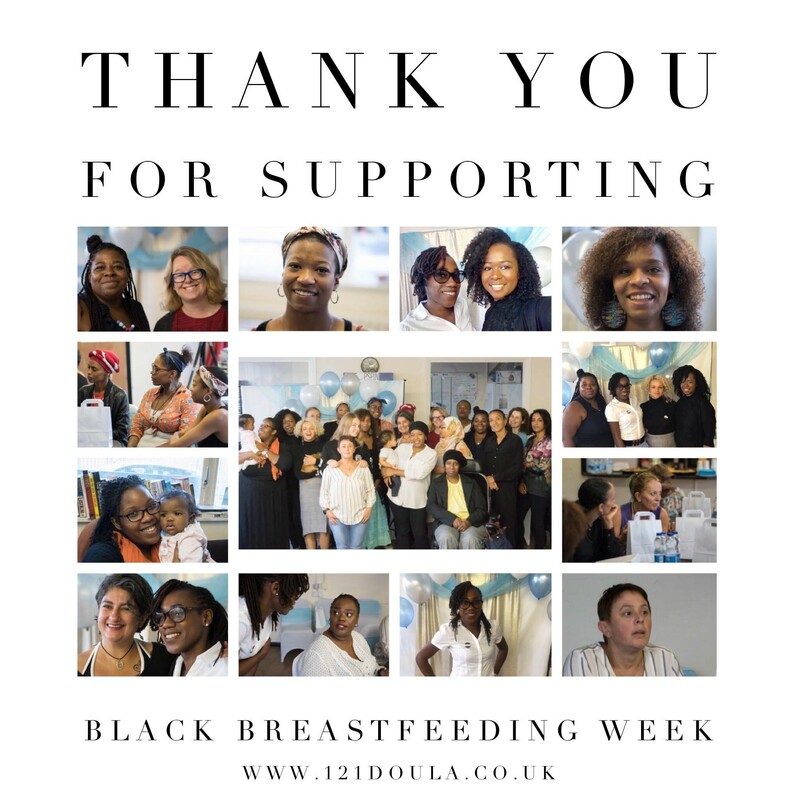 Black Breastfeeding Week was on the 25th – 31st August 2018, and 1-2-1 Doula & Breastfeeding Support celebrated Black Breastfeeding Week for the first time in the UK. There has been a look into what has been happening in the breastfeeding community of black families. It has been documented in the UK showing that black women have the highest breastfeeding rates of 1-3%. Many are questioning this, as there are many factors within the black community which causes black women to not exclusively breastfeed their babies until six months and beyond as recommended by UNICEF and WHO. Evidence shows that Black families suffer the highest infant mortality in the UK and it is strongly believed breastfeeding could help reduce the numbers. Breastfeeding/breast milk have countless health benefits for mother and child, it can help prevent many illnesses, infections, diseases and reduce the risk of SIDS (Sudden infant death syndrome) by 50%, learn more here. In the black community it is very common for mothers to offer their babies alternatives from early, 2-4 months, if not earlier. The top on the list is introducing water, why? because baby has a bad tummy. Black families have a culture of introducing solid foods from as early as 3- 4 months, why? because their milk is not satisfying baby, because baby is looking at the dinner plate and trying to grab the food off, she is now ready to eat, because granny said baby keeps crying, because your breast milk is not enough, mum needs to rest and let someone else feed baby (this can be done with expressed breast milk and breastfeeding actually makes mothers have to sit their busy bodies down, bond, heal and nurture their babies while they rest), because you never knew what to expect, because no one told you, because you never had any breastfeeding support, because breastfeeding is painful (which is should not be). I would say I have listed a good few things on why many black women don’t exclusively breastfeed their babies in the early stages of their babies life and there is so much more to this, which was high lighted at the “Why Black Breastfeeding Week?” event. (Event Facebook live video is available on 1-2-1 Doula Facebook page , the edited video will soon be available on 1-2-1 Doula YouTube channel). 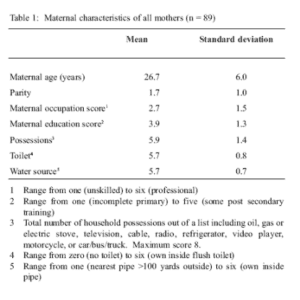 This table below shows research on the reasons why breastfeeding mothers in the Caribbean introduce supplements to their babies, this also effects black mothers in the UK. Yes some would say what has mothers in the Caribbean got to do with the black mothers in the UK. 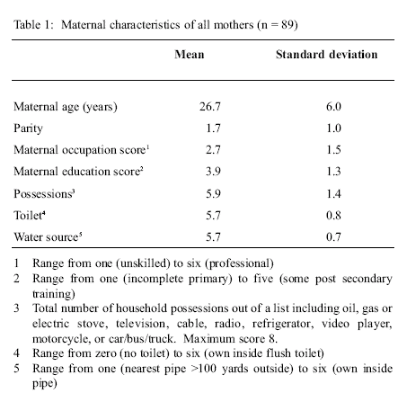 Black mothers of today in the UK tend to follow their culture and family traditions, just like African women and Asian women do, because we look up to the elders within our family for guidance and their experiences, cultural practices and influences within families tend to passed down, generation to generation. In the UK, we have one of the worst breastfeeding rates in the world at only 1% of women exclusively breastfeeding at six months. The most common reason was that water was given as it was felt the babies were too hot, baby was constipated or have grip (wind), to wash baby’s tongue, to settle baby, supplements were started in the hospital nursery or when mothers was ill, to prevent baby getting gas from the breast milk, or on doctor’s orders. A qualitative study of baby cafe services was carried out in the UK, within this it states, older, more highly educated mothers are more likely to seek help with breastfeeding difficulties. Which ethnicity/colour do you think these mothers are. Breastfeeding can be difficult for all women of all race, we need see this represented within breastfeeding groups, within imagery, within Breastfeeding Supporters and the Lactation Consultants community. Here I have attached a link of 3 black breastfeeding mothers’ stories, with hope that you see it through the mother’s eyes. There are many risk factors contributing to the higher infant mortality rate such as birth weight, mother’s age at birth of child, and the parents’ socio-economic status, some of these same factors are also what contributes to the high drop off breastfeeding rates in the black community. On Friday August 31st 2018, I hosted the ‘Why Black Breastfeeding Week?’ event, because many don’t understand why we need it and it is important for families, breastfeeding practitioners and organisations to learn the reasons why. When we learn the reasons why, is when we can then help make a change, help reduce infant mortality and better the health within the black community as evidence shows breastfeeding has long term health benefits for mother and child and this lengthens the longer you breastfeed. Keep an eye out for next year’s Black Breastfeeding Week event, the next event will be hosted by myself Ruth Dennison, Mars Lord and Co.